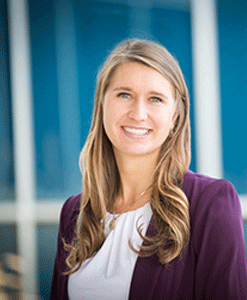 Jaclyn Demeter, PA-C, MPAS is a physician assistant with Indiana Spine Group. She is dedicated to the care and treatment of patients with orthopedic spine disorders. Ms. Demeter works in the clinic, hospital settings, and the operating room. She evaluates patients, provides preoperative and postoperative care, conducts physical examinations, orders and interprets tests, and counsels patients under the supervision of Joseph D. Smucker, MD.